Northland Art League (a 501(c)3 organization) was organized in 1983 by area artists, with the support of Maple Woods Community College which provided a meeting place for the League. 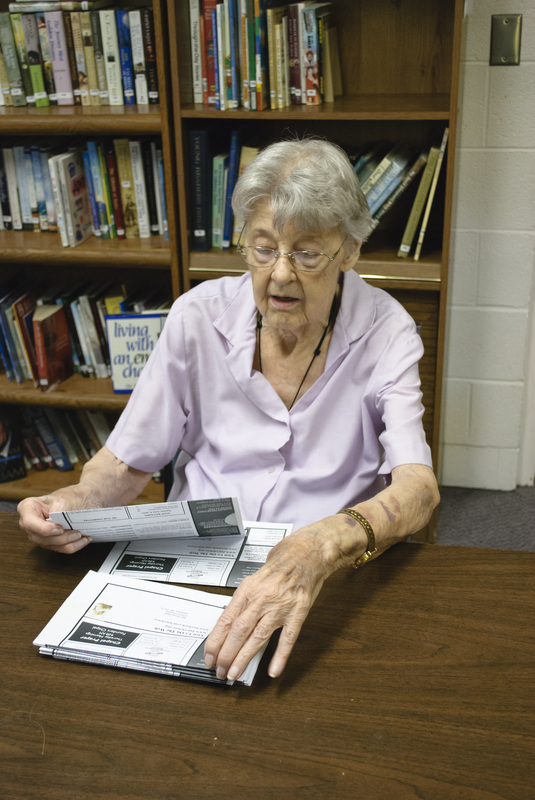 For a number of years the League has been meeting at Fairview Christian Church on a monthly basis. Membership in the League is open to anyone interested in supporting the arts. The meetings are open to the general public. At the monthly meetings, there is usually a program featuring an outside artist, or something of interest to artists. Sometimes the program consists of a demonstration by the speaker, sometimes it consists of slides of the artwork of the speaker with information about the work. Some of the speakers presenting programs have been: watercolorist, Jim Hamil; oil painter, Anne Garney; sculptors, Robin Richerson and Kuan Wu. 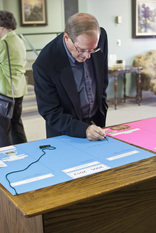 The League also searches out venues for the membership to exhibit their work. Some of those venues are: The Kansas City Art Institute Riverside Campus, the Belvoir Winery in Liberty, and the Blue Djinn Gallery in the West Bottoms. Northland Art League members pay a yearly membership fee to support the programs presented, as well as other miscellaneous expenses. Check with the church office for meeting time. Watch newsletter or events page for which Saturday in October 8:00 AM - 3:00 PM in Fellowship Hall. 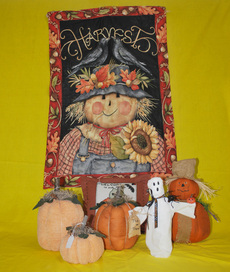 Featured handmade items: Gifts, Decorations for Fall, Halloween and Christmas and gently used jewelry. Money raised will be used in our mission projects and to help with church needs. Even if you are not "crafty" but would like to be involved there are some things you could help with. For example; sorting buttons, stuffing arms or legs with batting, non-detailed painting and numerous other things. Just check with the office to get in contact with one of the "crafty ladies". But if you ARE crafty the ladies could use your help and creativity. Let the office know that you like to be contacted about additional information on when and what types of projects the ladies will be working on. PRISCILLA BOOK SALE RESULTS — WOW ! On February 6th, 2016 we had our annual book sale. We had many Fairview members & people from the neighborhood stop in & get some good books at a great price. But there were other things that happened as well. clothes will also be able to take a book home. were given to the GAP program which is a youth group that meets at our Church on Wednesdays. • Two boxes of books were given to a local prison. • Approx. 25 boxes & bags of books were donated to Synergy (their profits help a local women’s shelter). • Another 25 boxes & bags of books were donated to Hillcrest (their profits help with transitional housing). The “workers” had time to share conversations & get to know someone a little better. We earned over $700 that will be used for missions & needs at Fairview. WOW ! I would say that was quite a success. ​Koffee Klatch is in need of volunteers. Please help. Please volunteer. Pick a Sunday in honor of a birthday, anniversary or just any Sunday to serve. Contact Membership Department or the church office. If you are interested, the Disciples of Christ Kansas City Region also has a Facebook Page. To view their Facebook Page to see what is going on in other Disciple of Christ churches click ﻿﻿HERE﻿﻿. on Gladstone, Kansas City and the School District. Links will open in a new window. Close that window to return to Fairview's website. Keep in mind that the above mentioned packages contained anywhere from 3 to 12 items - so the numbers of individual items is impressive and appreciated. 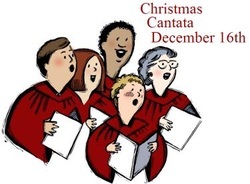 December 15, 2013 Christmas Cantata will be performed at worship. Please come and join us in praise. The cantata is titled "The Winter Rose" by Joseph M. Martin with narration by Pamela Martin. This All Church breakfast replaces the regular CMF December only men's breakfast. Come one, come all and bring your friends and neighbors for some great food and wonderful fellowship before taking on the crowds while shopping. "Go and Feel that God is Good!" Mary's cousin, Elizabeth, the Mother of John the Baptist, will come and tell her story about her first encounteer with Jesus. A "God Moment" will be shared by a member of our congregation. Donuts and punch time following the service. Don't forget to get out your favorite cookie recipes... it's time for the annual Christmas Cookie Sale. EVERYONE is invited. Cookies of all kinds are needed... Oatmeal Cookies, Chocolate Chip Cookies, Sugar Cookies, Decorated Cookies... you make them and we will sell them! Even breads go very well. You make them and we will sell them. Any questions contact the church office. 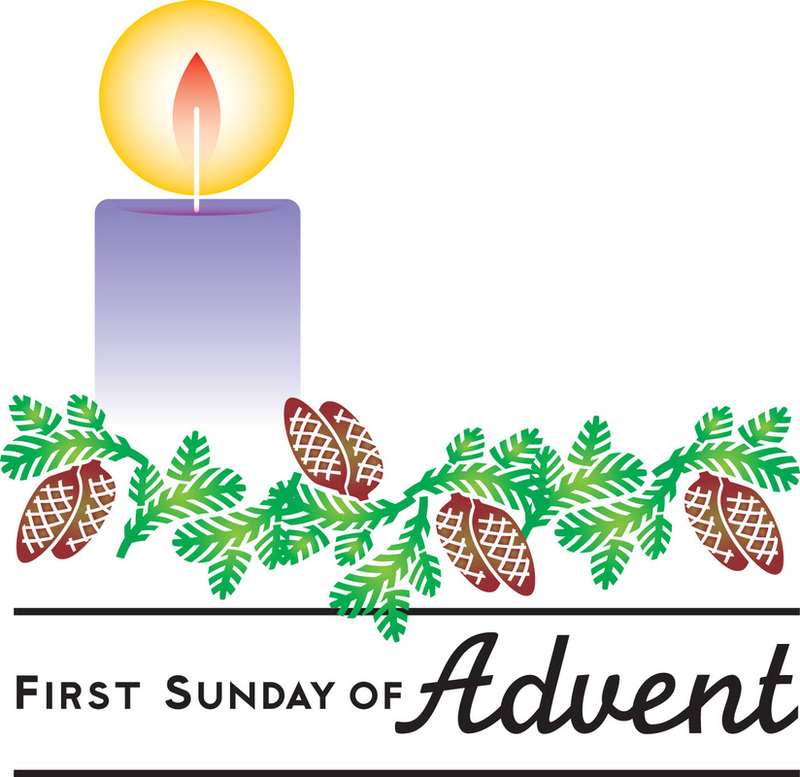 Receive Advent Calendars and Advent Devotional Booklets. If you did not receive one, check with the office. Mary's Dad will come and tell his story about Jesus. Dinner will start at 5:00pm. Part of the dinner (Turkey, mashed potatoes/gravy and dressing) will be catered. IF you are unable to bring a dish this time, please come anyway. After dinner Rex will be playing music in the sanctuary. The Sutton Memorial Fund is being used to fund the catered portion of the dinner. Donations received during this year's dinner will replenish the Memorial Fund for next year's use. Operation Christmas Child: We will be collecting filled and unwrapped shoe boxes. Deadline to return the boxes is November 17th. Click on picture to the right to see more details. The team raised $1,866.00 to help with World Hunger. November 5, 2013 Election Day - Fellowship Hall. We are looking for people to help us welcome voters to our church. Things you will get to enjoy: Greeting people, giving directions to the bathroom, refilling cookie trays, and just chatting with people. Please contact Susan A. if you are free that day and want to help our neighbors feel welcome. 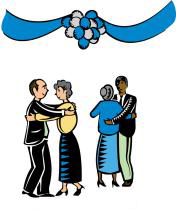 November 3, 2013 Fairview's Big Band Dance - 3:00pm - 5:00pm - Featuring the "5 Star Jazz Band". Dancing not required - just come and enjoy the music. There will be "lite" refreshments. Cost = free will donation. If you would like to help, we need donations of homemade or store bought cookies as part of our refreshments. So let Tom P., Susan A. or the church office know if you can help with this. We also need help with the setup after Koffee Klatch on November 3rd AND with clean up starting at 5:00pm. All help will be greatly appreciated. All Boy Scouts, Cub Scouts, and Girl Scouts are invited - Fairview members and friends, too. Those participating will set up their "trunks" around 5:30-6:00pm. You need to supply your own candy to hand out. Wear your masks, decorate your trunks or come as you are. It's always a lot of fun. If you are not able to participate but would like to donate candy to be passed out, please have it to the church office no later that Friday, October 25th. Saturday (26th): 10:00am - 5:00pm. Northland Art League would like the members of Fairview to help in the selection of the winners of these awards by casting a vote for their favorite piece during Koffee Klatch on Sunday, October 27th. 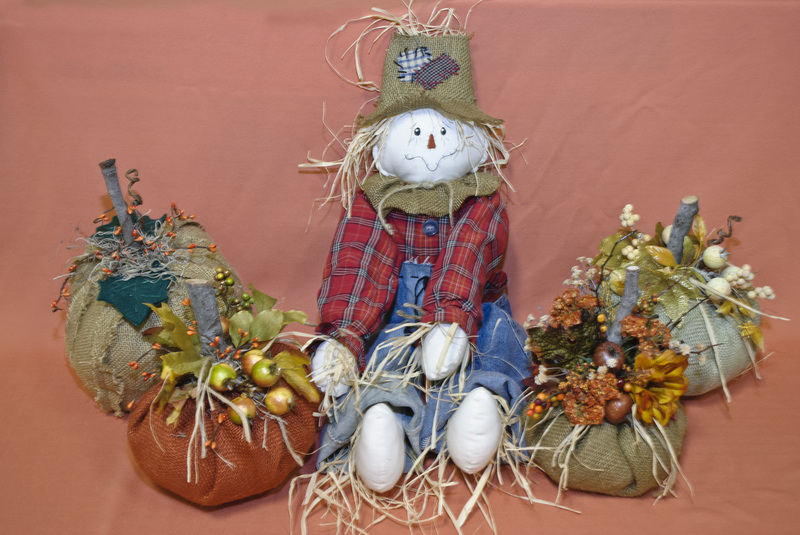 See November 6, 2013 newsletter for the three winners. We leave this Saturday for the Festival of Sharing in Sedalia, Missouri. To travel with us, please be sure to see the Car Pool sign-up on the Mission Bulletin Board before Friday (or contact the church office). October 17, 2013 CWF General Meeting - Don G. will talk about his trips to China; a light meal will follow. Check with the office for more details. October 13, 2013 - The CROP Walk - Sunday during Koffee Klatch there will be a sign up table. We need walkers, rockers, and, of course, pledges. We will not have separate pledges for different people. It will all go to the Fairview Walkers Group. All monies collected will go to support Church World Services, including needs in our own community. As of October 10th there are longer any openings. 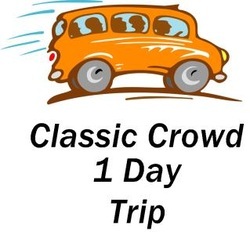 November 18-20, 2013 - Classic Crowd Trip to Branson - Fairview’s Classic Crowd group is going to Branson for the Extravaganza Show Mon., Nov. 18th — Wed., Nov. 20th (3 days; 2 nights) Cost is $305/person based on double occupancy. We will leave Fairview’s parking lot at 8:00 a.m. on Monday, November 18th. If you would like to go on this trip, please contact Mildred C. — soon! Or call the office. There are no spots available. More details to follow but to see some of the items that will be up for sale click HERE. 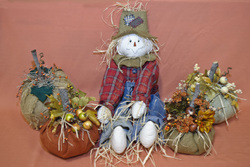 Featured items: handmade gifts, decorations for Fall, Halloween and Christmas. We are also looking for donations of all kinds of bread to sell at our Bakery Table. Bread can be dropped off on Friday, October 11th; the ladies will be in Fellowship Hall until 7:00pm. October 4, 2013 Christian Women United Forum - This will be hosted at Fairview Christian Church. Registration begins at 9:30am and the program begins at 10:00am. Guest speaker will be Kirby H. with Alphapointe. September 29, 2013 - 5th Sunday Luncheon - Fellowship Hall immediately after service. Tickets will be on sale in Fellowship Hall, Sunday the 22nd. The cost is $7.00 per adult. We will be having chicken, mashed potatoes and gravy, green beans (with bacon), rolls and beverages. If you would like to help out, we would appreciate a few people bringing a dessert to share. Please plan to stay for lunch and some fellowship time. NOTE: For all you die hard Chief's fans, if you are worried about getting home in time for the game, we will have some carry out containers available. Fairview has filled 510 bags. We have met our goal. 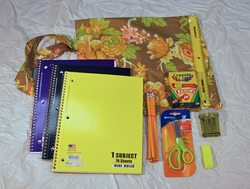 Thank you, Millie and Phyllis, for making the cloth school bags. Thank you Fairview for purchasing all the items to fill those bags. And Thank You, Evon, for taking on this massive project. The ladies of Fairview are invited to join Priscilla for our first meeting on September 23rd. If you are not a member of one of the CWF groups but would like to become involved, Priscilla would like to offer this invitation to you. Join our members for our first gathering & enjoy a salad supper followed by a short business meeting. It all starts at 6:30 p.m. on Monday, Sept. 23rd. We will meet in the Lounge. If you are currently a member of Priscilla, please bring a favorite salad to share. Drinks & dessert will be provided. If you are new to the group, let us know you are coming by calling the church office (452-2829). within you. Event is open to to all: Fairview members and neighbors. Please fill out the registration form and return to the church office. Limited to the first 100 people. August 8, 2013 - Camp Fire Worship - 8:00 PM. Everyone, neighbors and Fairview members, join us on the front lawn. In case of inclement weather we will move in to The Chapel. Bring a blanket and/or a lawn chair, invite a friend and be a part of this unique experience. 9:30am - 11:30am in Fellowship Hall. Open for any and all children ages 4 years and up to those that have completed the 5th grade. VBS will take place in the Fellowship Hall and Education Wing. Events will include various craft stations, stories and songs along with games. Registration will be available this Sunday or contact the church office. Invite friends and neighbors kids. Fairview volunteers are needed, please contact Pastor Donna if you would like to help. 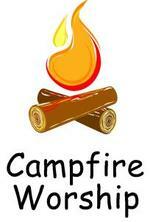 July 25, 2013 - Camp Fire Worship - 8:00 PM. Everyone, neighbors and Fairview members, join us on the front lawn. In case of inclement weather we will move into Fellowship Hall. who like them a particular way. Enjoy a light meal before watching the fireworks at whatever venue you like. June 23, 2013 - 5 Star Jazz Band FREE Outdoor Concert From 3:30 to 5:00 PM on the front lawn. Ice cream and water will be sold as well. Bring your lawn chairs or blankets; invite a friend and enjoy the music. In case of rain, the event will move into Fellowship Hall. NOTE: This event was moved inside due to impending rain and the heat. Come and explore Biblical passages about how to listen for God. You can call the office (452-2829) to make your reservation to attend one or all of the June sessions or use the signup sheet located on the Welcome Table in the Narthex. Come enjoy Dr. Tucker as he helps us to grow in our understanding of God and the Bible. You, the congregation and neighborhood families are invited to kick off summer with a day of FREE fun and games for the whole family. Everyone is invited so bring your family and your friends. Do you sometimes feel distant from God? Explore Biblical passages that welcome us and guide us to welcome others to God. 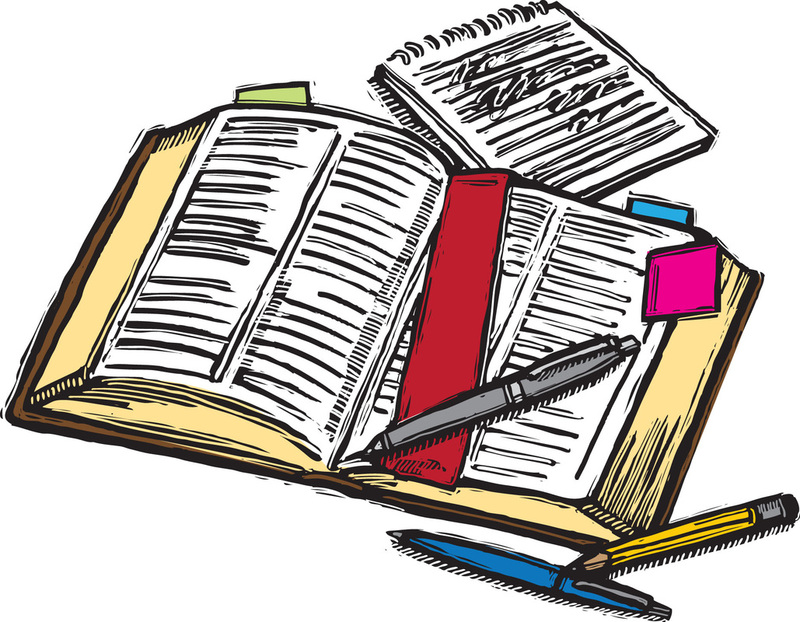 You can call the office (452-2829) to make your reservation to attend one or all of the May sessions or use the signup sheet located on the Welcome Table in the Narthex. Grove; Budweiser Clydesdale Ranch near Boonville then back home. $69.00 per person - reservations due by Thursday, May 9. If interested contact the church office. More information coming soon or check the March 27th newsletter. Picture taken Sunday, May 11th. We began construction on the Pyramid for Micah on April 7. As of May 14th we had 353 cans with only 32 cans to go - but we will accept more than that. Help us make our goal before the May 19th dedication. If you already brought some cans, thank you. But could you bring another one or two...or more to insure we hit our goal by the Sunday dedication? These can be found at Sam’s Club for $3.22 & at other grocery stores for about $5.00. The base of the pyramid is located on the stage in Fellowship Hall. Once you have purchased your can(s), please place them on the front part of the stage to be added to the pyramid. 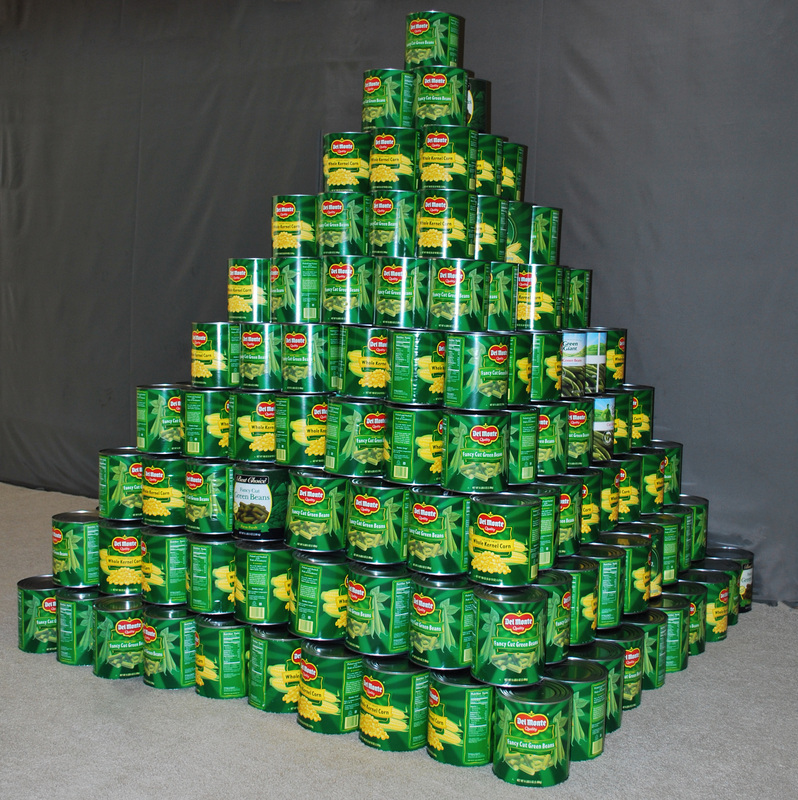 After a dedication of the pyramid on May 19th, the cans will go to Micah ministry. Micah prepares meals for homeless and low income people each Monday evening, feeding around 800 people per session. This is a ministry of the Independence Boulevard Christian Church. Tea Time at Henry's Tea Room & Antique Shop in Lee's Summit in what was formerly the 1913 Lee's Summit Christian Church. For further info on this outing call Charlene S. or the church office. Reservations needed by May 10th. We will be having a luncheon immediately following Church Service. A Cinco de Mayo do it yourself taco and/or baked potato bar for $5.00. We had Mariachi music piped in during the event. It appeared that everyone enjoyed themselves. Hosted by the Membership Department. Contact Lynn C with any questions. The highly anticipated annual event is right around the corner - so mark your calendar! Chef Clarke will be presenting his world class spaghetti. Watch here and upcoming newsletters for more details. The silent auction will be held with the dinner. As per usual, we are soliciting donations of items of worth to place in our auction. The success of the auction is directly attributable to the highly coveted items you have donated over the years. 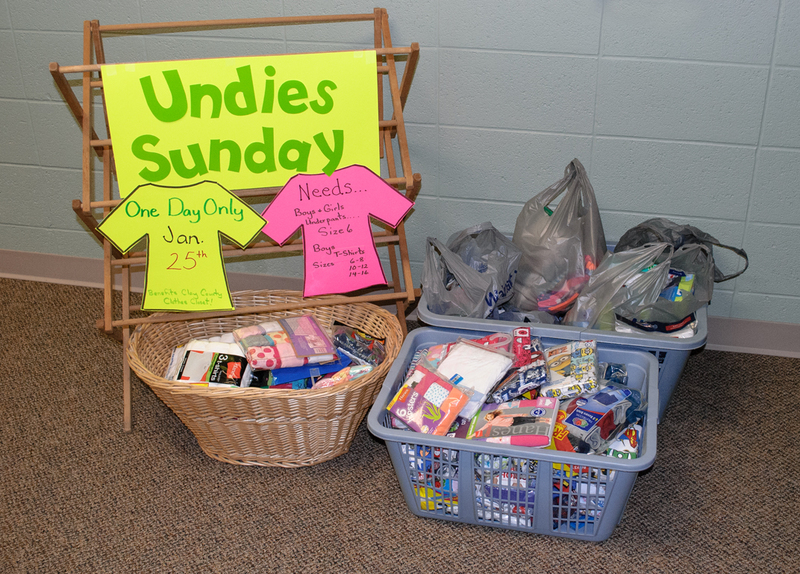 If you have an item you wish to donate, you may leave it in the church office or contact Tom S. in person or by phone. Orchid Farm Tour - 1pm - an hour and a half tour in the caves. Since it is cool in the cave sweaters or jackets and suitable shoes may be helpful. Please RSVP by Monday, April 22 to the church office (816-452-2829) if you plan to go. On the 24th we will meet in Fairview's parking lot at noon and carpool from there to the orchid facility. Bring your camera; we will be allowed to take all the pictures we want. Owner did say that the lights generally create an orange tint to the photos so be prepared. Hopefully, the flash will help with that. After Event Note: Three car loads of people attended this event. It was a lot of fun, very educational and many pictures were taken. CLICK HERE for a slide show of some of what we saw. Who Shared Jesus With You? Come learn ways to share Jesus. 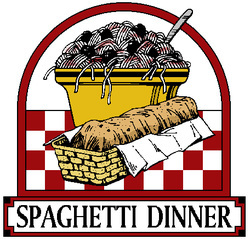 We will meet at 5:00 P.M. for a light meal (soup and bread, provided) followed by the workshop at 5:30 P.M. until 7:00 P.M. There will also be a sign up sheet this Sunday at the Welcome Table and then in the Fellowship Hall. 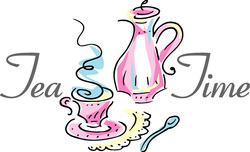 April 18, 2013 6:00 P.M.
Ladies of the church will meet at 6:00 P.M. for the Punch Bowl followed by dinner and entertainment by "The Lollipops" at 6:30 P.M.
All Fairview ladies, friends and guests are welcome. Tickets on sale April 7th and 14th in Fellowship Hall for $10.00 each. Click Here for some photos of the 2013 event. Rev. Loyd Gentry will receive the Christian Church (Disciples of Christ) Minister Emeritus pin and recognition during the 10:00 AM morning worship service. A reception will be held in Fellowship Hall immediately following the church service. Loyd loved Fairview and we invite ALL who were part of his ministry, were married, baptized, or shared in his ministry throughout the community, to join in this special recognition. This year we are planning an educational theme. We want to introduce you to the groups and organizations we have supported in the past. Last year the committee visited several places and found the short trips informative and fun. We would like for the church as a whole to be able to have this experience so we set some tentative dates for "Mission Trips": September 16th and October 21st. We will give more information later when we decide where the visits will be, transportation information, and costs, if any. We also planned two informational presentations by organizations, such as Heifer International and Disciples Mission Fund for during Sunday School times, 2-3 times during the year. We hope you will be able to attend and we can line up some informative speakers that will interest you. We have projects planned for the church year round and you are welcome to join in and help with anything that perks your interest. We will have a description of each and what is needed as those times arrive. We look forward to this hands on worship with you. 2014 will be a great year!" Bill Spangler-Dunning, Regional Minister of the Upper Midwest Region posted this on Facebook. "Lately I have been extremely overjoyed and proud to belong to the Christian Church (Disciples of Christ). In a world where so many live deep within their own absolute political ideologies and/or theological doctrines I am pleased to attend church and share in communion with people who believe multiple positions in this fragmented world. -- AND -- choose to learn and work together as CHURCH. I believe this is my hope for the future -- that we will see a world in which instead of demonizing each other or isolating into our own "TRUTH's" we will live as if we are part of one Body of Christ." Wouldn't it be a blessing if more and more, Disciples were known for our ability to work together in unity, even when we don't agree? Let's pray and work to make it so. The Kansas City Metro Men's Chorus will perform under the direction of Noel Fulkerson. There will be a free will donation which will go to the Assistance League of KC benefiting Operation Child in Need for Clay and Platte Counties. Come and enjoy a wonderful night of music. Membership Department will serve Easter Breakfast from 8-9:30 AM in the Fellowship Hall. We will have: egg casserole, danish, fruit, cereal, juice and coffee. We are expecting much better weather this week, so plan to come anytime during the above hours for food and fellowship before Sunday School or Church service. Donations will be accepted to cover food costs. 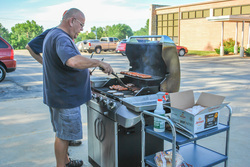 A "Job Well Done" is deserved by our July 4th cookout crew. Mel and Vaughn cooked hot dogs and hamburgers and made sure they were brought to us inside where we were eating and having great fellowship. We had over a 100 people attend and many brought potluck items to share. If you were not here you missed a great time with great food. Rev. Raymond L. Hankins, is an ordained minister in the Christian Church (Disciples of Christ). Raymond was ordained in 2012 after graduating from Saint Paul School of Theology. After completing seminary, Raymond completed Intentional Interim Ministry training and received his certification from the Alliance of Intentional Interim Ministry and from the Center for Congregational Health. He also has over twenty-five years of experience in both the Human Resources and Information Technology fields before retiring to attend seminary. Raymond has served as an Intern Minister at Raymore Christian Church, also as an Intern Minister focused on Intentional Interim Ministry at First Christian Church in Independence, Mo. 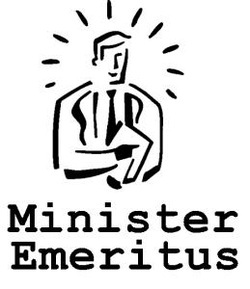 and as the Intentional Interim Minister for First Christian Church of Kearney, Mo. Rev. Hankins was involved in Lay Leadership for over 30 years in various Disciples congregations before ordained ministry. He has held the moderator position of every department, committee and Board imaginable in a Disciples’ congregation during this long service. Currently, he serves as the Moderator of the Personnel Ministry of the Greater Kansas City Disciples Region and is a member of the Regional Executive Board. Raymond lives with his wife Angela in Independence, Mo. 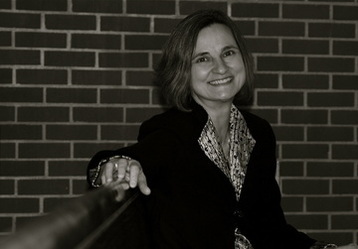 Angela is currently employed as a Legal Administrative Specialist for Husch-Blackwell law firm on the Plaza. Raymond and Angela have two grown children, David and Jennifer. They are also the proud grandparents of four boys and one great-grandson. In their spare time, Raymond enjoys photography and working on computers (he has three or four at any given time). Angela enjoys reading and cooking which keeps Raymond fat and happy all the time. Event is open to the children and grandchildren of the church membership and surrounding neighborhood. 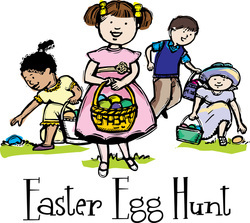 If you can volunteer to help "hide" eggs and can be there by 9:00 AM please contact the church office. NOTE: Will reschedule event if raining. This event is open to the entire church family. If you are interested please let Kathy C. (Missions Chair) or Kathy S. in the office know your intent to attend. We thank the Guild Group for their hard work in making sure the Spring Fling was a success. They were instrumental in all the decorations and insuring there was great musical entertainment. Also thanks go the men of Fairview for the great service they provided in getting the food to the tables and making sure the ladies had everything they needed. The economic crunch has taken food out of the mouths of children and we can put the food back. Collect all the canned goods you can from friends and family(plastic containers ok, but NO glass). We are placing collected food around the perimeter wall of the sanctuary. Food collected will be used to help feed the hungry in Clay and Platte Counties. This is our opportunity to celebrate Cupid, Love and Marriage! Everyone is welcome to come & enjoy great food, entertainment & most of all have fun! Put that date on your calendar right now & plan to attend. Tickets sales will be in the Fellowship Hall on upcoming Sundays. Ticket price is just $5 per person. Try to find any restaurant serving Valentine's brunch for 5 bucks! Be there, get your tickets & come share the fun! The Fairview Priscilla Group used book sale is coming. If you like mysteries, romance, history, westerns, inspirational, cookbooks, you name it, you will find all you need here. We ended up with somewhere between 5,000 and 6,000 books available for sale this year. Thank to all who donated books. Sales, even without selling baked goods along with the books, almost equaled last year. Start saving those books and mark your calendar for next years book sale. Priscilla's mitten tree has been set up so you can start bring mittens, scarves and stocking caps for the Clothes Closet. Come join us this Sunday to enjoy and sing with our choir as we celebrate the birth of Jesus in music. Free movie and Free popcorn. Bring your family; bring your neighbors and enjoy popcorn and a movie. You are encouraged to bring food for MLM food boxes. Cookies of all kinds are needed... Oatmeal Cookies, Chocolate Chip Cookies, Sugar Cookies, Decorated Cookies... you make them and we will sell them! Even breads go very well. Money from the last two sales were used to purchase the new outside doors. So keep baking cookies so that we can continue to help with the needs of the church! If you have any craft items for the sale, please drop them off in the office no later than Noon on Friday, December 7th. We will be needing help to put up and take down the flags. Russ will be putting up the flags at 7:30 AM and Bob will be taking down the flags at 5:00 PM. If you would like to help just show up. We will be looking for volunteers to sign up and work a shift at the store. Also need new and unwrapped toys. Go HERE for more in depth information. A reception will be at 4:00PM in the Lounge. Feel free to bring a picture of your loved one. The Service of Rembrance will be in The Chapel at 5:00 PM. Feel free to bring an ornament in honor of your loved one. Start your month off right and join Fairview's Christian Men's Fellowship for breakfast. The Fairview Thanksgiving dinner is scheduled for this Sunday at 5:00 PM. Part of the dinner (turkey, mashed potatoes and gravy and dressing) will be catered. Fairview will also provide rolls and drinks. 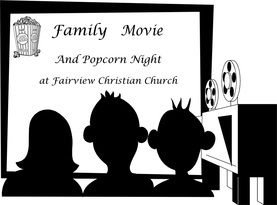 All our Fairview family, friends and visitors are invited. We hope you will attend. If you have any questions, please contact Ed or Lynn (Membership Department). IIf you are interested here is a link to an article and a video of the Senate Chaplain showing his disapproval during the morning prayer on September 30, 2013. Click here. Pastor Donna Rose-Heim is our Intentional Interim Pastor. She began her ministry with us August 1, 2012 and will be with us as we seek God's guidance in preparing Fairview Christian Church to pursue God's desires for our future ministry. She brings with her a love of bringing the scriptures into focus in every day life, a passion for helping people grow spiritually, a sense of humor and hope, and 26 years of experience as an ordained pastor. 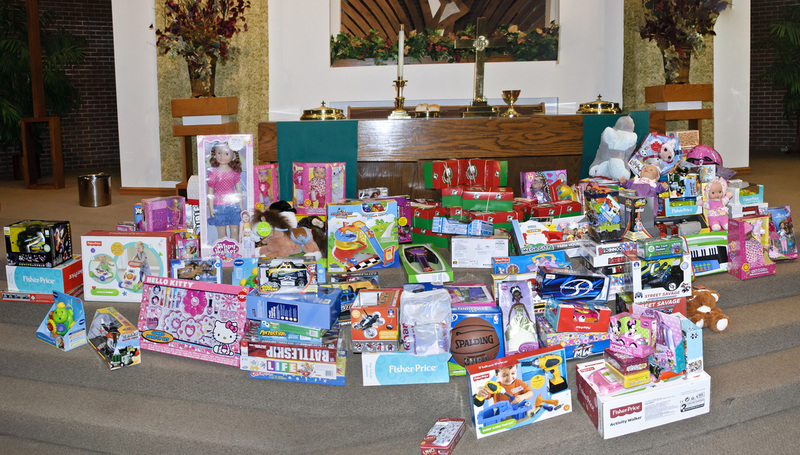 Sunday, November 17th, we dedicated the toys Fairview members donated to the Northland Christmas Store. Initial count is at over 165 toys donated. This week, December 9, 10, and 11 we have volunteers that will be working at the Northland Christmas Store making sure the children get these, and other, toys come Christmas morning. UPDATE: In October we delivered a check in the amount of $1000.00 from our paper recycling and Missions Department. Also we filled 31 volunteer slots to work the Northland Christmas Store this week. Storytelling is one of the oldest methods of communication in the world. Jesus taught by telling stories! The most loved and remembered words of Jesus are the Parables. Fairview Christian Church will host TELLEBRATION, a worldwide celebration of the spoken word. Disciple Minister and storyteller, Larry Brown, will be the feature teller for this event. This event, co-hosted by River and Prairie Storyweavers (the storytelling guild for Western Missouri and Eastern Kansas) will feature stories for the entire family. Storytelling is NOT just for kids! Join Larry and other tellers for a night of storytelling and music at Fairview Christian Church. Call Linda at 816-452-6893 for more information. Fairview's CWF will be collection filled and unwrapped shoe boxes. These boxes need to be done and back to Fairview no later than Sunday, November 11th. Please return these boxes to the designated table in Fellowship Hall. This past weekend several men from the Property Department were working on Fellowship Hall. They replaced burned out light bulbs, worked on some heat/ac ducts, scraped off some water damaged paint, drilled holes in some new ceiling tile tracks then replaced some old rusted track, and they also replaced some missing window blind control rods. Besides using the scisssor lift here (donated by our Assistant Cub Scout Master) they also used it in the Sanctuary to finish replacing the ceiling lights. Do you love kids? Are you led to make a difference in a young person's life? Click on picture, to the left, to be taken to the volunteer page and scroll down to see the tutoring information box. We will be carpooling to attend the Festival of Sharing. 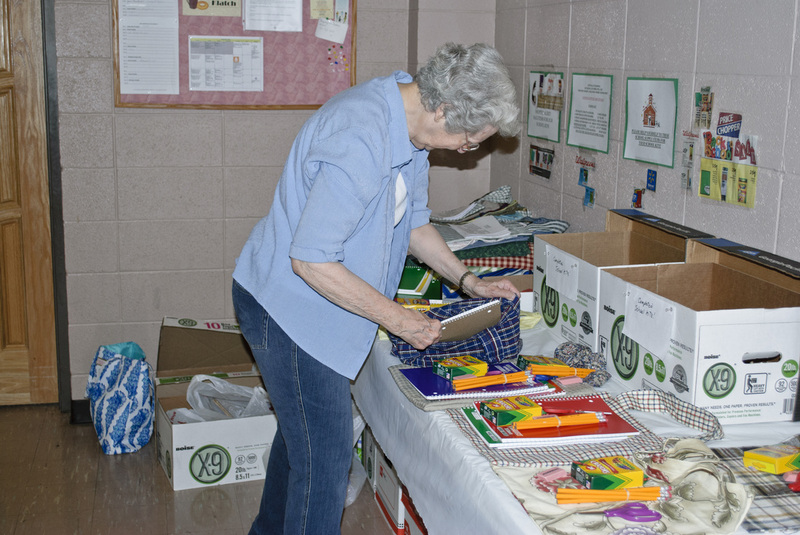 Two Fairview ladies sewed together 530 school kit bags. The total value of school supplies that we collected to fill all 530 equaled $7,950. Those contributing to the Family Food Boxes, 128 boxes for families of 4 and 179 boxes for families of 2, donated a value of $10,875. A quilt valued at $250 was also donated for the auction. Monetary donations were: Missions $800; CMF $160 and CWF $100. When all totaled Fairview donated $20,135 - this is well over the $13,000+ donation from 2011. If you are interested in going see the sign up on the Missions Bulletin Board. The Festival is now in its 30th year and generates approximately $1 million annually. Thanks to all who worked on these posterboards. We needed information from 1955 to the present AND ideas for the future. People added any memories they might have had. When people became a member of Fairview was also asked for. So, why should we give our time and our money to Crop Walk? 25% of funds raised stay local. 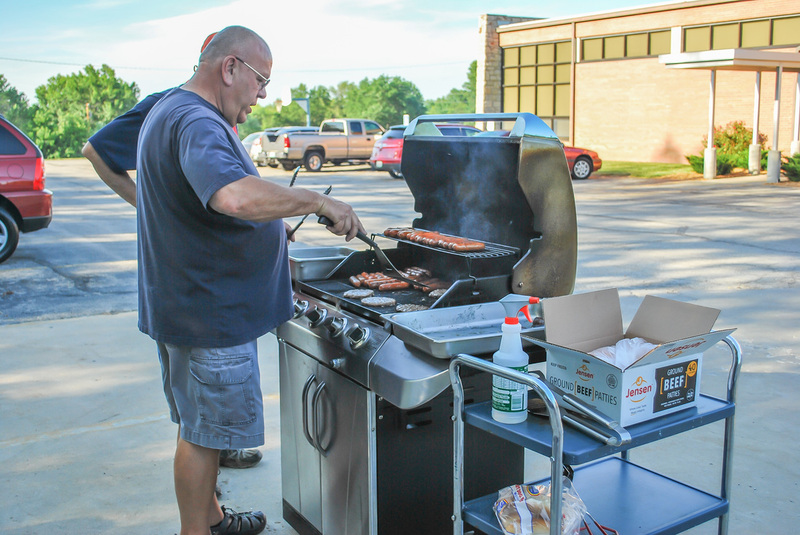 Metropolitan Lutheran Ministries and the Hot Dog Lunch program at North Kansas City Christian have both benefited. You will be providing more than just a meal. Crop Walk supports Church World Service and other agencies providing disaster relief, self-development programs including literacy classes. 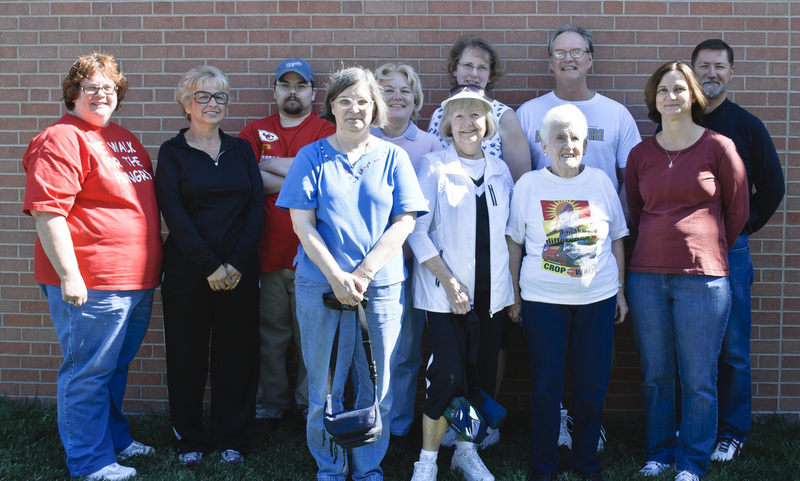 Click HERE for a group picture of Fairview Walkers of 2012. Saturday, October 13th; 8:00 AM - 3:00 PM in Fellowship Hall. Even if you are not "crafty" but would like to be involved there are some things you could help with. For example; sorting buttons, stuffing arms or legs with batting, non-detailed painting and numerous other things. Just check with the office to get in contact with one of the "crafty ladies". But if you ARE crafty the ladies could use your help and creativity. After the fall bazaar they will start on additional items to be sold during our annual Christmas cookie sale. To see photos of the sale and some of the items crafted by the ladies of Fairview click here. Click on the picture to see a slideshow of this event. Classic Crowd is meeting this Thursday at 11:30 AM in Fellowship Hall. Menu: "Spaghetti Red" and pot luck. 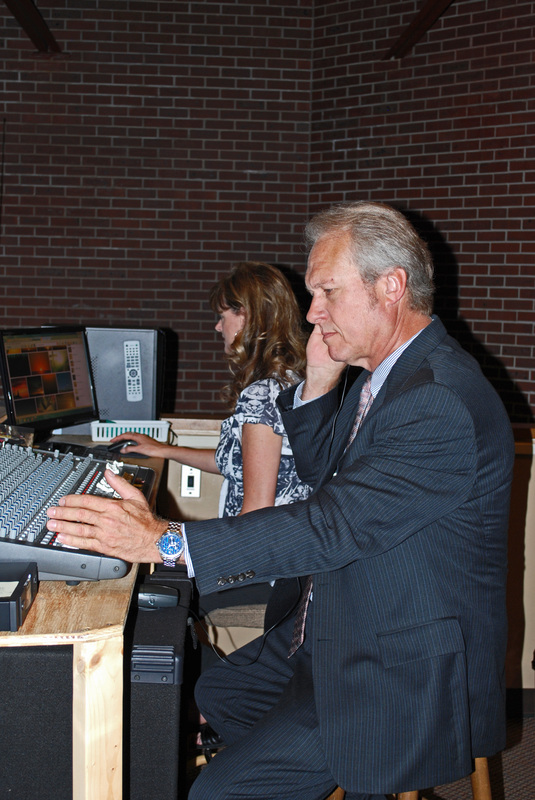 Program: Denny Bowen providing Country and Gospel music. Arrive early and get a good seat. The first Sunday of October. This is a worldwide opportunity for ALL Christians in every culture to break bread and share the cup as they affirm Christ as the head of the church. All churches and denominations, regardless of how often they normally observe communion are invited to participate. We are still looking for Fairview Volunteers to sign up to work a shift at the store- check with the office for time slots available. You can drop the toy off in the office, or the box that is in the Narthex or present it during Fairview's December 2nd Worship Service when all the toys received up to that point will be presented. Any questions, please contact Myrna G. or the church office. 2012 Results: We delivered a check in the amount of $1200.00 (from our recycle paper bins and money from Missions Department), 208 toys, and 31 volunteer slots. 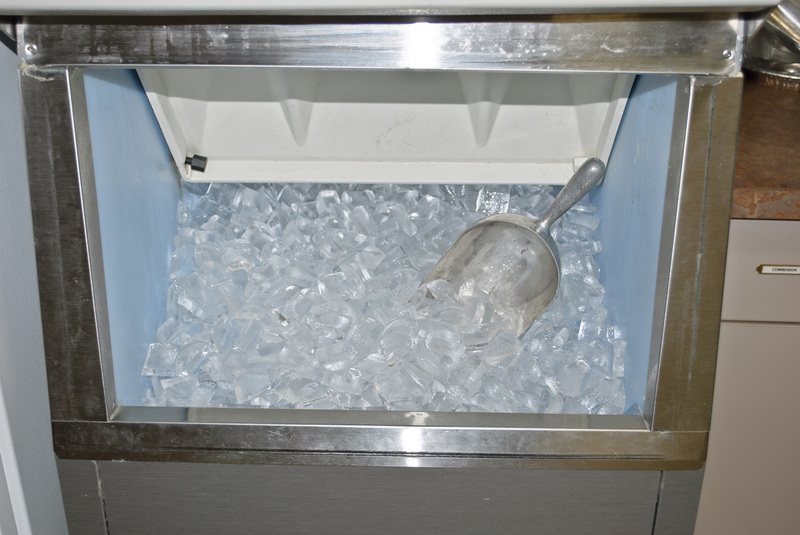 After joining Fairview in 1993 our ice maker has been a Good and Faithful servant for 20 years. Recently it suffered an illness but after a brief period of rest and treatment it is back to serving Fairview, again. This is our Middle School student Hang Out Thursday group that meet on Thursdays at 3:00 PM. We are looking for volunteers that can provide snacks for the kids. Once the kids meet at Fairview, they have a snack around 3:30 PM. There are approximately 20 kids. so if you could provide a snack for one or more Thursdays, please contact the church office. Sherry and Terry T. are two of our volunteers who make sure that the projection board and all the microphones are prepared for Sunday morning service. Without this crew we would have no slide shows and most people would not be able to hear Pastor Donna or any of the singers very well. Sandy B., Susan A., Jean L., Tom P. (not pictured) are also part of this crew. When you see them give them a "Thanks" and a "Job Well Done". 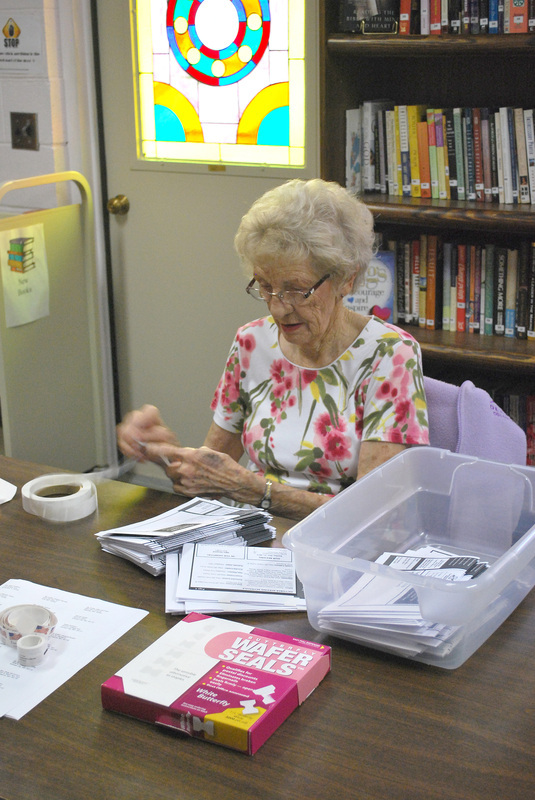 Elaine and Dorothy work on preparing the paper newsletters for mailing every Wednesday. This week would have been no different. Elaine fully intended to be there to help Dorothy but it was not to be. Elaine had passed away before she could join Dorothy in the church library. Her service was and is appreciated. She will be missed by all. Did anyone notice the two new handrails on either side of the sanctuary stage area? This should make going up and down the steps much safer and easier for those who need a little more support. So, let's be safe and use them. 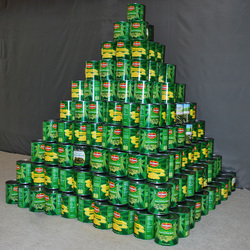 May 19th we had a completed canned food pyramid of 385 cans plus a few more. These were presented to the Director of Micah Ministries during Worship Service. July 12, 2012 - Relay For Life of the Northland - 7:00 PM - 7:00 AM at Oak Park High School. It's that time of year again. Fairview's Captain is Alan H. (a co-captain is needed). There will be some information and sign up sheets in the Narthex. On Sunday mornings there will be a representative from Team Fairview available to help with sign-ups, donations and/or questions. How can you be involved? You can be a walker, or you can purchase a luminary, or you can make a donation. Already we have over $1700 pledged.